There is something very thrilling about horror books which take place in amusement parks, fairs or carnivals. 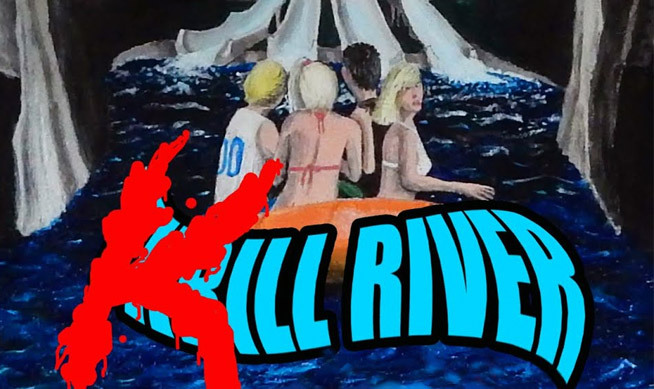 Kill River, by Cameron Roubique, is the first horror book I know of to be taking place in a water park. With a promising synopsis and a very impressive cover (which was drawn by the author himself), I just had to put my hands on it. The year is 1983 and 13 years old Cyndi is on her way to summer camp. She doesn’t want to go there, but she has no choice. She soon teams up with Stacy, Brad and Zack, who much like her, feel too old for summer camp. The foursome decides to embark on a daring operation and escape the camp by stealing a raft and sail along the river. 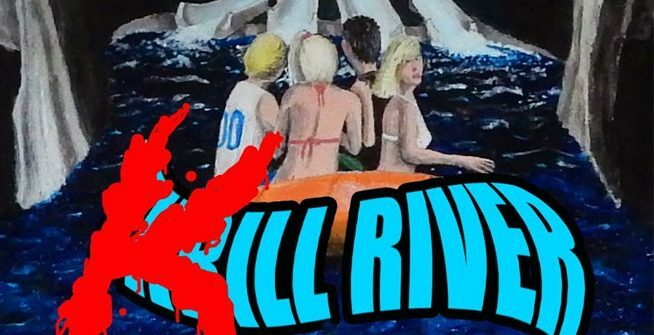 Somehow they find themselves in a water park called Thrill River. Surprisingly, the park is deserted, but this doesn’t mean that they can’t try the various attractions the park has to offer, right? WRONG! At least that’s what the psychopath killer living in the park thinks. 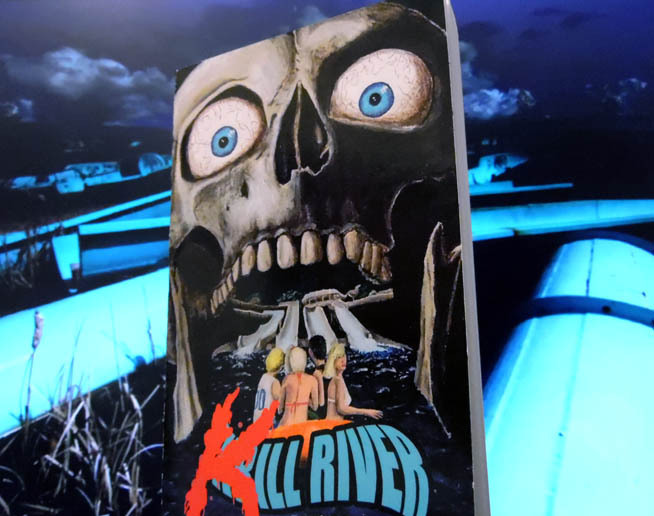 Kill River is a book that’s definitely worth reading. 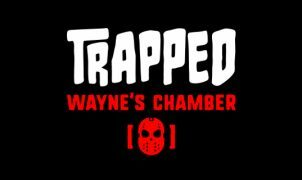 It’s a fast paced fun adventure with several suspenseful scenes (like the part in which Stacy takes a shower and senses that someone is watching her, or the part in which Cyndi listens to the recordings of the water park’s construction crew in the control room). Reading the book makes you feel like watching a slasher, but unlike most slashers, the characters in this book aren’t stupid. Even if sometimes the characters may seem to act irrationally, their actions still make sense, because they are 13 year-old kids. While reading, I sometimes felt ‘lost’ in the park. It could have been super cool if Roubique attached a Thrill River map to the book (just like the maps you get in Disneyland). I would have drawn it myself, but I won’t be able to do it without Roubique’s guidance. There is no information about the killer’s identity in the end. I have no idea who he was or what his motives were. How many bodies were at the Dead Man’s Drop pool? Guess I’ll have to read part 2 to find out. Bottom line, this is an excellent book, which any horror fan age 13 to 99 can enjoy. Roubique’s blog has some interesting posts with pictures from Water World CO, the water park that inspired the design of Thrill River. It’s a pleasure to go over his blog after reading the book.